Missy Wittmann, enterprise data strategist at American Family Insurance, shares her thoughts on big data, the challenges facing data managers, and what makes the new University of Wisconsin Data Science program unique. The field of data science is exploding as fast as the world is creating data. But what is behind this growth, and what does it mean for business? To find out, we spoke with Missy Wittmann, a data management leader and evangelist for more than 20 years. In this exclusive interview, Ms. Wittmann talks about her experiences, her influences, and her advice for those considering a career in data science. Please tell us about yourself and your background. Certainly! 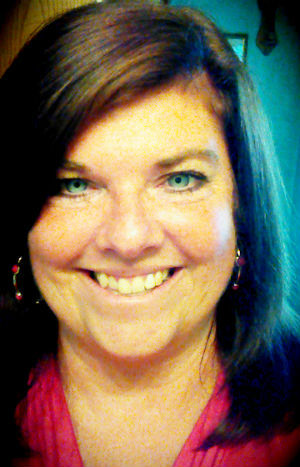 My name is Missy Wittmann and I serve as enterprise data strategist at American Family Insurance. I am also president of the Wisconsin Data Management Association (DAMA) Chapter and vice president of Chapter Services for DAMA International. I have worked in data management for 20 years. You could say it’s a passion of mine! What do you do as enterprise data strategist? I analyze how we define, model, source, and quantify data across the enterprise. My team and I look at data in the context of the business’s needs and its customers’ needs. Our goals are to help the business win new customers and retain existing ones. At AmFam, we have a data lab we use to find patterns, make predictions, and improve customer service and satisfaction. I talk to the business side a lot. When the company runs TV commercials, for example, we collect and analyze data from social media sites to learn how well our ads are received. Are we speaking in the same voice as our customers? Has an ad resonated so well that it’s gone viral on Facebook or Twitter? The insights we find influence our strategies. How did you get your start in data management? I am very fortunate to have been in the right place at the right time. As I said, I’ve been in data management for 20 years. I have worked at American Family for 30. At some point, I got involved on a data project and became passionate about it. Data drives so much in our daily lives. How can you not be interested in that, or excited by it? My employer recognized my interest in data management—as well as the importance of data to the organization. The company supported me with professional development and other educational opportunities to foster my knowledge and help me grow my career in this field. The Data Management Association is a users’ group. We provide training on data management. It’s a way for data practitioners to meet, network, and share ideas. DAMA meets quarterly and hosts internationally known speakers. We are growing. We draw people from all over Wisconsin. People of all ages and walks of life are coming into data management these days, particularly students. The opportunity to hear from guest speakers is one of the best parts of DAMA membership. We recently hosted Bill Inmon, the grandfather of data warehousing. He spoke about the future of the field. To hear him speak anywhere else would cost a lot of money. 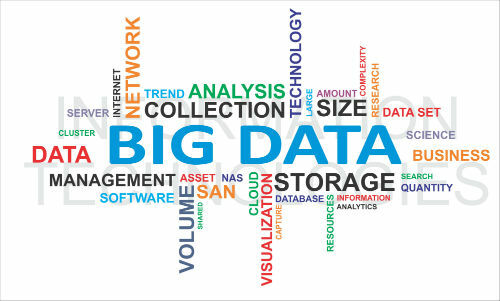 Why is big data getting so much attention right now? Because it’s huge! Today’s world is generating more data than ever. More and more people want to get hold of that data. They want to peel the onion and find ways they can use it to make better decisions—about business, about health care, about energy and finance and education . . . the list goes on and on. Businesspeople in particular have discovered how data can help them uncover insights, opportunities, and solutions. These folks are clamoring for more data and more ways to use it. Today’s reporting tools really help them get to the heart of things. For example, Google Analytics is making it easier for less-technical people to find patterns and actionable insights. With this kind of reporting, organizations can see just how they are doing, and how they can do better. It’s a fun place to be. What are your major challenges as a data management professional? The big challenge is in collecting the right data. It has to be useful. You can be in an environment like Hadoop—you can collect all the data you want, but is it useful and valuable? Does it contain the information we need? Oftentimes, it takes creative thinking to figure out how seemingly useless data can in fact be very valuable. After that, we need to be able to present the data and our findings in a way that makes a difference. That means creating visualizations to help us communicate clearly and persuasively to leadership and nontechnical audiences in language they can easily understand. What kinds of organizations need data scientists? Everybody needs data scientists! I really don’t think there’s an area that doesn’t. Take Wisconsin, for example. We do a lot of farming here. Data analytics allows growers to track crop production from year to year and make decisions on what to plant the next season based on weather and moisture. Wisconsin breweries use analytics to identify and predict sales patterns, inventory levels, and customer preferences. 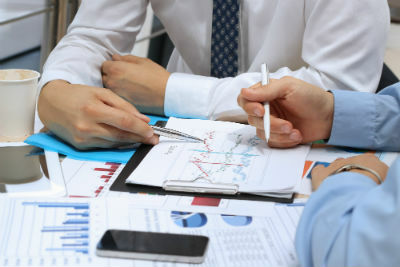 Insurance companies like AmFam need data scientists to help them assess risk, improve pricing, create custom plans and services, and built customer relationships. Again, everyone needs data scientists. Manufacturing, retail, energy, finance, medicine—everyone. Who or what has influenced you most in your career? Karen Lopez is a great educator and influence. She is a renowned data management expert who speaks and blogs about data quality, data governance, data modeling, compliance, and more. Steve Hoberman is another influence. He is a prominent data modeler, author, and trainer who was awarded DAMA’s International Professional Achievement Award in 2012. Tell us about your role in developing the UW Master of Science in Data Science program. I was approached by George Kroeninger, assistant dean at UW-Extension’s Division of Continuing Education, Outreach and E-Learning. He and the other founding program members were interested in talking with professionals in the industry, and as DAMA’s president, I was one of those. So I joined the team as an adviser. One of the best things we did was run focus groups made up of business leaders. We asked them, “What are you not getting from your new data recruits? What skill gaps do you need to fill?” We were surprised by their answers. One of the biggest things they told us was their employees lacked soft skills. These folks knew how to hunker down and analyze data, but they didn’t talk to one another. And communication in data science is key. Data modeling is another area they mentioned. This isn’t really taught in-depth at universities—it might be one chapter in a book. But it really is the foundation for everything. It is the blueprint that determines how all of an organization’s systems integrate and talk with each other. I enjoyed helping with public relations. I have often been the program’s spokesperson for interviews. I will soon be a co-chair on the advisory board. It’s exciting. What do you think makes the UW Master of Science in Data Science program unique? The program is unique in the way it was designed. We didn’t just sit down and make up a curriculum. We talked with employers and business leaders to find out what they want and need in data professionals. Then we built a program from the ground up to address those needs. What words of wisdom do you have for students entering this program and the field? This is a great time to get into the world of big data. Employers have a critical need for skilled data professionals, and that need will only grow as organizations generate and collect more and more data. Companies are figuring out that they can find competitive advantages in data; ideas and insights they can use to get ahead their rivals. There aren’t enough data professionals right now to fill the available positions and accomplish the things employers want and need to. So the demand is huge. Employers need skilled people so badly that some are even changing organizational policies in an attempt to attract top talent. For example, some places are offering telecommuting options for new hires who don’t want to move across the country. I think a lot of this is due to the fact that the field of data science is still immature. If you are good, you can find a job in Silicon Valley making $250,000 a year. What changes or growth do you see in the field over the next five years? I see more businesspeople continuing to get involved. Data collection, analysis, and visualization tools will mature, allowing more “regular” people to spot trends and uncover the insights they need to make better decisions. The needs of the business will drive IT, and data scientists will be at the heart of it all. Data science is an exciting place to be. It’s a strong field and only getting stronger. Now is a great time to jump in! One last question. What do you do for fun? My kids keep me busy. I have three children (two boys and a girl) with my daughter still at home. She is a three-sport athlete. I follow her around to watch her play. Many thanks for taking the time to share your experience and insights! 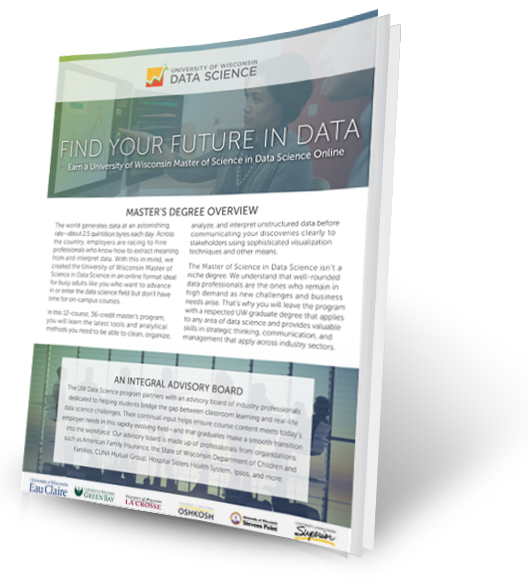 Are you looking to start or advance your career in data science? Find out why the online UW Master of Science in Data Science is a great program for aspiring and established data professionals. Call 1-877-895-3276 or email learn@uwex.edu to talk with a friendly enrollment adviser today.